In addition, the Academic Departments have set 29 other goals for the individual exams. These can be found on the department AP Trent pages. 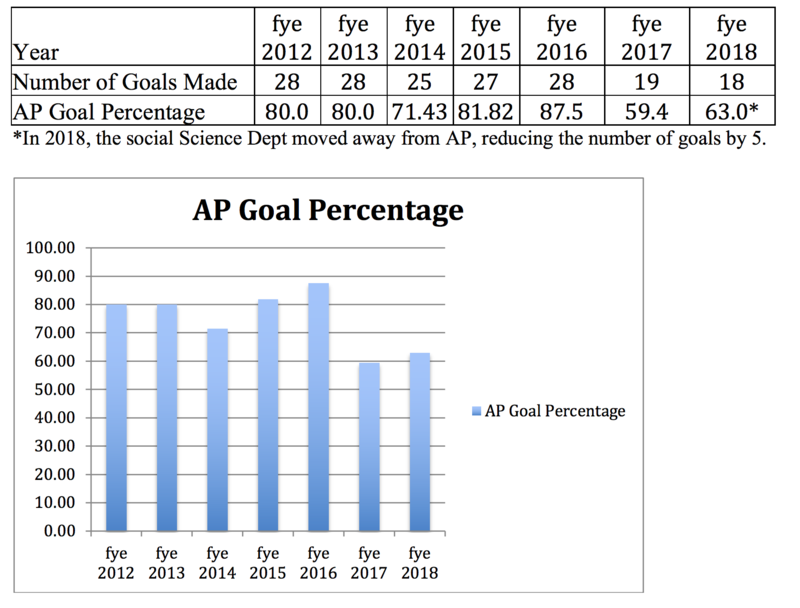 Each year, the Program is evaluated by the percentage of goals attained (out of 33). Here is the rend for the past sevenyears.